Today is our third and final post featuring interviews with 6 ProjectLIT Chapters Leaders! Check out Part 1 for introductions and to learn how how they run a ProjectLIT Book Club. Yesterday (Part 2) was all about student leadership, community involvement, and that BIG question – how to get the books! Today, Part 3 will look at future plans, favorite books, and advice to new ProjectLIT chapter leaders. If you want to know more about ProjectLIT – follow them on Twitter @ProjectLITComm and if you are ready to apply to become a chapter leader, the form is right here! Kimiko: The other challenge was getting full sets of books for every book club meeting instead of having only 5-6 of each book. So, I decided to rotate my full sets into my curriculum so all students had an opportunity to read them. Ashleigh: Looking back I would really like to have enlisted another adult to help with some of the stuff students couldn’t do, whether it was going shopping for breakfast food, reminding staff about meetings, helping kids with side projects. Also scheduling is just always tough, Saturdays were great for so many parents but often times things come up last minute and it’s a little hard for middle schoolers to be on top of getting themselves where they need to go. Lindsey: It’s difficult to pick a time for the meetings that works best for everyone. I found that more students could attend before school than after school. I wish more of my faculty could attend and get involved. They were often occupied with meetings, so it was unfortunate that they missed out on connecting with students in this way. Mary: Since our first meeting was open to everyone in the school, but the winning book was geared toward middle schoolers, we had mostly sixth graders at the meeting. I’m hoping to increase HS participation next year with the meeting being exclusively for them, and strong student leadership. Jessica: I was challenged with resistance from some parents and teachers based on the books we were reading. It is hard and you will have to have uncomfortable conversations about them. It was hard and I was very stressed, but coming out the other end, it was absolutely worth it. The conversations those kids had about the books and the depth of knowledge I know they walked away with will encourage me to keep doing this forever. It is inspiring. Erika: Smaller numbers than I would have liked, mostly due to having to meet after school rather than during the school day. What were some of your students’ favorite books last year? Ashleigh: An easier question would be what were books they didn’t love!? In conversations with my leaders – three come up a lot though. They obviously loved Jason Reynolds’ Track series (we read both Ghost and Patina), students also loved Full Cicada Moon by Marilyn Hilton, and finally I think many of my and my students’ favorite conversations came from Refugee by Alan Gratz. Lindsey: Towers Falling by Jewell Parker Rhodes was not only a favorite ProjectLIT book, but it ranked in the top 10 circulations for my school library. My students were born post-9/11, and they have lots of curiosity about it, and they want to understand it. They also loved Refugee by Alan Gratz. We’ve hosted Alan Gratz at our school, and he continues to be a favorite author of theirs. This book captured their attention and helped them empathize with the refugees today. Our community guest for this particular ProjectLIT meeting, Abdikadir Ali, shared his story of growing up in a refugee camp in Kenya for 10 years of his life. Students were captivated by his story. Mary: Kids LOVE Ghost by Jason Reynolds and The Crossover & Booked by Kwame Alexander. I’m so excited to see their reactions to the new set of books! Jessica: The Crossover by Kwame Alexander was by far the most attended and most well-liked book from last year. A close second was Towers Falling by Jewell Parker Rhodes. What book are you most excited about reading with students this upcoming year? Ashleigh: Many of my students have already read Ghost Boys by Jewell Parker Rhodes because she came to our school through a free program with Open Book Foundation (SHOUTOUT TO THEM!) so I think that will be incredible to share and reflect upon how important it is for us to bear witness. Kids also are so excited to get to Sunny by Jason Reynolds – and many have already jumped straight into that book. I’m really stoked for them to read that because I think it masterfully captures the inner working of so many middle school munchkins who are sometimes simultaneously dealing with such weighty issues but also acknowledging their need to be silly and be themselves. Finally, I think Amal Unbound will be huge in the same way Refugee was this year – I love Project LIT books because once we’ve hooked kids on stories where they are seen and heard – they get so much more into books that offer windows (shouts to Rudine Sims Bishop!) into worlds they are unfamiliar with. Lindsey: This is a tough question to answer. I’m really looking forward to what we’re doing with Amal Unbound by Aisha Saeed. It’s a Global Read Aloud selection and a ProjetLIT selection, so we will read that book in October, and I’m excited to highlight this book in a variety of ways with my students. Mary: For MS, I am really excited about I am Alfonso Jones, Ghost Boys, and The First Rule of Punk. For HS, I LOVED Odd One Out by Nic Stone, and I’m super amped about Trevor Noah’s book -my adult educator book club (also started by Ashleigh Rose!) read it and it’s such a great book for discussion. We’ll be doing Wishtree for our first MS meeting, and The Poet X (my favorite YA maybe of all time) for our first HS meeting, then students will vote on all the other selections. Can’t wait to see what they pick! Jessica: My students are very excited to read Rebound by Kwame Alexander since The Crossover was such a huge hit. I cannot wait to read The Parker Inheritance with them. That book had it all and I know that they will devour it! What are you going to do differently with ProjectLIT this year? Kimiko: This year I will start to contact local business early in regards to donating food and donating books to our club. Ashleigh: I’m looking to find more and more ways to have kids take the helm. One of my huge takeaways was that student leadership matters so much more than things being perfect. I have loved watching kids share their love of books, the ideas they care about, and to watch them realize that all these adults and peers are fully invested in hearing their voice. The more they can take up space – the better! I’m also going to try to partner with some local organizations around our school or the local public library since we don’t have a school library. Lindsey: This year is about growing our book club not only in our school but in our community. Two students attended the ProjectLIT Summit with me, and they are on fire and have lots of great ideas to make our club even better. We are going to have a planning meeting to kick off our year, and send the community invites way in advance. We hope that by giving our guests even more notice, they will have more time to read the book. I also continue to work on book access for my students. Several school librarians in my district and I have discussed each purchasing a class set to share with each other. Mary: I am excited about helping students reach out to community organizations for support (like breakfast!). I also hope to connect to other chapters this year, I think kids would love that. Jessica: More student involvement, more students in more grades (since I teach 8th grade, we were heavy on 8th graders last year), do more with elementary schools, especially our feeder schools! Erika: I’m not going to put a measure of success on myself. Having students (and others) show up and engage is success in itself. What advice do you have for new ProjectLIT Chapter Leaders or for those thinking about launching a chapter in their community? Kimiko: Start small, be organized, partner with some local organizations, try to write some grants, have fun, and relax. Ashleigh: I would say to just dive in. Get a few books, get a few kids, and run a book club! We’ve got so many resources and brains already in this who are here to support and help out wherever they can. Also, create a structure and plan and just follow it. I almost think it is easier to do eight clubs, than four, because you get in the groove of it. Once we had done two – my kids ran it all mostly themselves because it happened like clockwork every month. Lindsey: Jump in! There are so many ideas and resources from other chapter leaders. Search #projectlitchat and #projectlitbookclub for ideas. Focus on doing what works for your students and you. Involve your students as much as you can and don’t worry about it being perfect. The goal is simple- have fun and help kids love reading. Mary: It won’t be perfect the first time around, but just jump in and do it!! Let the kids lead the way, and don’t be afraid to reach out to others and connect with educators doing it successfully! Everyone is super kind and willing to share. Jessica: Just jump in! It will be scary, but it works! Also, don’t be afraid to start small. Just recruit your own students at first and then grow it out. The community will grow! Erika: Do your research first. Learn what we’re about. Read the information. Snoop around/participate in the chats. Truly consider if Project LIT Community is for you and the school community you serve, because it’s not for everyone. Kimiko: I am currently reading Children Of Blood And Bone. Ashleigh: I love summer because it gives me the brainspace to dive into nonfiction more than during the school year. I just finished Being the Change by Sara K Ahmed and I am SO excited to head back to work on Thursday of this week armed with her call to action and amazing ideas for implementing and cultivating lasting socially conscious conversations and anti-bias communities. Also, I highly suggest Why Won’t You Apologize by Harriet Lerner. Took away tons for my adult life and for school. On my drives I am listening to Projekt 1065 by Alan Gratz (talk about a historical fiction/research mastermind) and I just started an ARC of Odd One Out by Nic Stone because she’s honestly the coolest person alive right now! Lindsey: I’m reading an advanced copy of Grenade by Alan Gratz, and I also just started Front Desk by Kelly Yang. Mary: I recently finished Speak: The Graphic Novel and was totally rocked. Currently reading Darius the Great is Not Okay by Adib Khorram. The Parker Inheritance and Rebound are on my nightstand, too! Thanks again to Kimiko, Ashleigh, Lindsey, Mary, Jessica, and Erika for taking time out of the summer and back-to-school planning to answer my questions! If you have more questions about ProjectLIT, please let us know! Today I am excited to continue the conversation with ProjectLIT Chapters Leaders Kimiko, Ashleigh, Lindsey, Mary, Jessica, and Erika. Yesterday, they shared how they run a ProjectLIT Book Club. And today (Part 2 ) is all about student leadership, community involvement, and that BIG question – how to get the books! Part 3 will look at future plans, favorite books, and advice to new ProjectLIT chapter leaders. One of the things that I love about ProjectLIT is that it empowers students to take leadership roles. How did students contribute to the planning and running of your ProjectLIT Book Club? Kimiko: Students contribute to the planning and running of our ProjectLIT Book Club by creating the questions for the meetings. – Worked collaboratively on Google Docs to create our Discussion Questions. – Submitted Trivia questions on Google Forms to me. – Set up and helped break down every meeting. – Shared invitations and created reminders on Instagram and throughout the school. – Sending updates and reminder emails via mailchimp! – Wrote a Donors Choose grant for our book club for the MARCH BOOK 1 meeting. – Wrote thank you notes to donors. – Divided up roles for Saturday meetings to lead everyone in the different parts of our meeting. – Probably a ton of stuff I am forgetting! Lindsey: My students enjoy having roles in ProjectLIT. Our roles are: Greeter/ Sign-In helper, makerspace helper, trivia question writers, and discussion question writers. We have a Google Classroom, and students can share their trivia questions, discussion questions with me ahead of time. This year, our first meeting will center on planning our year. We need to pick a book for each month and send out invites to our community. Mary: So our ProjectLIT chapter was born of my student library club. Right when I got to my school I formed a library club – our student clubs meeting during lunch. To determine our first book, we did a school wide book madness competition (like March Madness) so students had choice and ownership from the jump -the library club helped to facilitate this big time! I chose the books for the book madness competition based on two things, first if they were ProjectLIT selections, and second if they met my school’s guidelines that I co-created with my principal. When we were narrowing votes down to the final two, Ghost was losing against The Witch Boy by one vote, which threw me into a moral crisis over whether or not I should doctor the vote. It felt weird that Witch Boy wasn’t a ProjectLIT book. In the end I went with student votes all the way, which is how we landed on The Insignificant Events in the Life of a Cactus. Around the same time I started advertising for next year’s ProjectLIT selections with this bulletin board. I think it’s important for chapters to stick to the books on the list (from last year and this year) and my students are already reading and excited about voting for next year’s books. In May, I sent a google form sign up to all students that indicated when planning meetings would be held (they were at the same time as library club). At the planning meetings a lot went down! Students submitted trivia questions as well as discussion questions. One student organized our amazing logo, and other students worked on a powerpoint presentation that would guide the meeting. At our last planning meeting (three days before the event) we divvied up day-of jobs, like setting up breakfast, manning the sign in table, and introducing various portions of the meeting. Honestly Ashleigh’s powerpoints were the best guide. Jessica: I love that, too! It is always about empowering students and allowing them to use their voice. Last year being our first year, I did a lot of the work (not all!). This year, I plan to utilize the students more and have a couple of student leaders in place to run the book clubs. I want to take a more secondary role and really let them run with it. Last year, students created all the questions and trivia questions and each student would run a discussion at a table. This year, I plan to have my two student leaders run the entire book club! I am excited to see how it unfolds. How have you engaged your community in the ProjectLIT Book Clubs? Did you get community members and other adults to read the books and attend? Kimiko: We gave a copy to community members and some students read the books with their parents. I also invited them to attend an author visit so they could enjoy a Q &A session. Ashleigh: A lot of parents, staff, friends, and family attended. Usually they saw the Instagram or MailChimp email reminders or were reminded enough by an important child in their life to come with! Lindsey: We had amazing guests from our community throughout the year: our public librarians, police officers, representatives from Graceworks, Habitat for Humanity, Blood:Water Mission, Fisk University, GoNoodle, Catholic Charities, and the coach of Belmont University’s Men’s Basketball team. Sometimes, our community guests did not have time to read the book, so knowing that, I shifted how we involved our community guests, and I gave them time to share their work and service in our community, so that my students could understand the needs that exist and how they can help. Mary: We had a few parents and one other teacher at our first meeting, so this is a big area of growth for me!! I’m hoping as we have more meetings and more kids get involved people start paying more attention and joining us! Jessica: This is definitely an area I would like to improve, but we did have many community members participate last year. A lot of them were teachers and district level employees, but I also spoke to the retired teacher’s association and our Rotary Club to recruit other members. This year, I plan to ask members of the city council and city staff as well as parents to participate. Erika: Our school has several community partnerships, so I asked the person who manages those relationships to share our Project LIT info with them and she did. We received book donations as a result. Did your ProjectLIT chapter do any service learning projects last year? If so, how did it go? Kimiko: Yes, we partnered with Book First Chicago. They donated over 300 books and we packaged and distributed them to students at the end of the year to prevent the “summer slide”. Ashleigh: Not yet! But we’ve got some stuff in the works! Lindsey: We had a Little Free Library built for our campus in honor of our principal, who retired. A student’s grandfather built it. We felt it was important to establish this library on our campus first, and then next year, we will put one elsewhere in our community. We held a book drive for Book ‘Em, which is a non-profit in Nashville that gives books to Title I schools and to organizations like the Boys’ and Girls’ Clubs, Habitat for Humanity. Some of these books went to classroom libraries at our reading partner school, Glenn Enhanced Option Elementary. My students gave 3,000 books! Jessica: YES! This is such a great part of Project LIT. Students need to understand that giving back to the community is a vital part of supporting where you live. Last year, we were able to get a Little Free Library donated, which we painted. Unfortunately, we were unable to obtain the needed permits before school let out, so we will be “planting” the library this coming fall. We also hosted a book drive in which we collected over 2,000 books! The books are being used to supply new teachers with classroom libraries and to fill our Little Free Library. This summer, we have gone to our school district’s lunches in the park and passed out free books to all the kids in attendance. Next year, we plan to connect with some elementary schools and do some book giveaways and read-alouds with younger kids in addition to continuing what we did last year. Erika: No, but hopefully this year. Alright – here’s the BIG question! How did you get books for the kids? Kimiko: I bought them, created a donors choose, ordered books from First Book, or used my scholastic points to get books. Ashleigh: Ha the big question indeed. I was very motivated to make sure every kid and/or family member could take home and keep our books and begin building their own LIT Libraries at home! So many parents came up to me to say how excited they were to keep the books to share with younger kids when they were able to read them! Applied for a Culture Champion Grant through my school. This funded a lot of our purchases. Bought as many books as I could from lower cost sites – mostly First Book Marketplace and some Scholastic sales. My students wrote a Donors Choose Project grant to get funding for one of our more expensive books as well as prizes for trivia winners. Lindsey: This is the hardest part for me. My district has extremely strict rules on fundraising, so the best I could do was buy as many copies for the school library that I could. I had approximately 10 copies of each book in the library. Also, at our book fairs, I created ProjectLIT displays and encouraged people to buy a book for ProjectLIT. Many of my students bought their own copies either in print or in e-book form. I would also buy ProjectLIT books and give away these books throughout the year. It always put a smile on my face to see a student attend a book club because they’d won a copy of the book. The loaners were either purchased by the school or donated by families. My principal is seriously amazing and committed to buying 2 of the titles last year and this year. He is also buying a few (not class sets) of each of the titles for our classroom libraries. Apply for grants! Any and ALL grants! Look for local grants as those are sometimes easier to secure since not as many people will be applying for them, but don’t discount the big ones, Keep at it! Ask local businesses to donate to you! Some have donated money, but a lot have donated goods (food for the book club, tickets/goodies as raffle prizes, etc.). Talk to the local library and ask them to help you publicize your cause. You never know who might read it and give you books or money! Erika: see above; also, I’m a librarian, so having books in the collection was also helpful. And we have an outstanding partnership with our public library, so students could also borrow titles that way. Stop back tomorrow for Part 3 to learn about their future plans, favorite books from last year, and advice to new ProjectLIT chapter leaders! 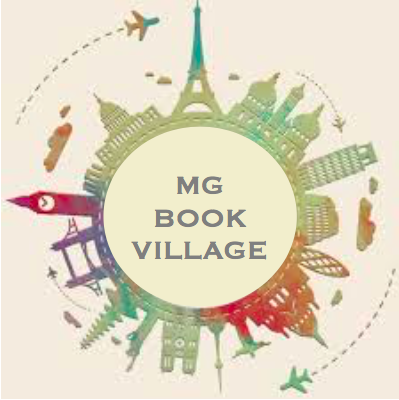 Today I am excited to welcome five fantastic educators to #MGBookVillage! Last week I had the opportunity to chat with ProjectLIT founder Jarred Amato on the Books Between podcast (check out that episode here) and was eager to learn more. While I was at NerdCampMI, I met Kimiko, Ashleigh, and Lindsey who lead a great session on ProjectLIT and connected me with other ProjectLIT Chapter Leaders working with middle grade students. I am so grateful to each of these educators who took time out their summer to answer my questions about their experiences with ProjectLIT. I hope you find their answers as helpful as I have. Their responses were so thoughtful and in depth that I decided to break this feature into three parts: Part 1 will focus on introductions and how to run a ProjectLIT Book Club. Part 2 is all about student leadership, community involvement, and that BIG question – how to get the books! Part 3 looks at future plans, favorite books, and advice to new ProjectLIT chapter leaders. After reading these responses, I’m super excited to launch a ProjectLIT Book Club at my school next year! If you want to know more about ProjectLIT – follow them on Twitter @ProjectLITComm and if you are ready to apply to become a chapter leader, the form is right here! How did you hear about the ProjectLITCommunity? Kimiko: I found out about this PLN when I was searching for literacy chats during the 2016-2017 school year. Ashleigh: I saw a lot of what Jarred was doing on Twitter. I actually reached out to him to ask him some questions and we hopped on the phone that weekend to talk more about Project LIT in March of 2017. Lindsey: I noticed Jarred Amato’s posts on Twitter during the 2016-2017 school year. Here was this amazing high school English teacher in a neighboring school district making things happen in his school community! He was getting his high school students not only involved and excited about books, but they were solving the problem of book deserts together. How could they provide more access to books in their community and how could they get more culturally relevant, high quality books to kids in the community? I loved the enthusiasm radiating out of this corner of Nashville! Mary: I am fortunate to have the best friends, one of whom is Ashleigh Rose, another Project Lit leader here in DC. She invited me to attend one of her meetings, I think the first one I made it to was for March by John Lewis. After that I was sold! Jessica: I heard about Project LIT through Twitter. I saw the application come out and jumped on it immediately. I am so glad to have found Project LIT! The community of educators is amazing and supportive and inspiring. Erika: I heard about Project LIT Community via Twitter. I actually followed Jarred’s posts and read his blog throughout the year. Toward the end of their first year of Project LIT as a class, I asked Jarred if he and a few students would mind if I interviewed them for a piece I wanted to write for The Horn Book and they obliged. What made you decide to start a ProjectLIT Book Club in your school? Kimiko: I was so impressed by the actions of Jarred Amato’s students in regards to community outreach and their desire to increase diverse literature in their school that I wanted to sign up immediately. I completed an application and went straight to Barnes and Noble to purchase books. My goal was to provide students with compelling literature that would reignite their passion for reading, increase their desire to learn about diverse cultures, and help them discuss controversial topics. Ashleigh: Project LIT for me was a way to formalize and amplify the work and the passion that my students and I were already working daily to cultivate in our classroom. I have always tried to make it my mission to get books into kids hands that represented their lived realities and that they loved and then to give them the space to choose those books, read those books, reach out to authors, and share those books during independent reading in class. For far too long I had struggled to find books that spoke to and saw my kids as real people who exist with real day-to-day lives. I remember the day I finished When I Was The Greatest by Jason Reynolds in 2014 and stormed into my now principal’s office like “THIS IS IT, I FOUND WHAT I’VE BEEN SEARCHING FOR, IT’S THIS.” When I found Project LIT, I realized this was just a supportive community trying to spread that thing that I’d found and that my kids (read: students) were falling in love with in books. Authors like Jason Reynolds, Angie Thomas, Representative John Lewis, Jacqueline Woodson, Renee Watson, Sharon Draper, Nic Stone, and Jewell Parker Rhodes were already doing this work for kids and Project LIT was just showing what happens when you encourage communities and conversations around those texts. I wanted to share that with as many kids, staff, and families as I could. I also felt like there was not always space for kids to have opportunities for authentic leadership or sharing their talents and passions in our curriculum. Project LIT was a way to create those opportunities to amplify student voice and leadership in our school. I had no idea how much kids would take it and run with it! Lindsey: I am always looking for opportunities for my students to connect with books in a meaningful way. ProjectLIT provides the opportunity for my students and I to explore a variety of perspectives and to build empathy. My school is 89% caucasian, and in the South, and as much as I can, I want to showcase and highlight books that help my students see the stories of everyone in the world, past and present, so that they celebrate diversity. My school is often thought of as existing in a “bubble,” so it’s important that we break out of that bubble and seek to understand what’s going on in our world and be part of meaningful conversations that will help my students have a broader perspective of our world. I also love the service component of ProjectLIT, and I knew my students would accept the challenge of working to eliminate book deserts. Mary: When I started as a librarian at my current school I knew I wanted to offer robust reading programming. After my experiences observing Ashleigh’s chapter meetings and talking with her about the program I knew Project LIT would be a natural fit for my school. With limited time left in the school year, I wanted to try to squeeze one meeting in before summer, and it worked! Jessica: I am a pretty spontaneous person and usually jump in head first to try new things. When I saw the application for a chapter leader come out, I jumped at it and haven’t looked back! I knew that starting a student-led book club would only create stronger readers and better critical thinkers! And what better way to get students hooked on books? It was a no-brainer to start this club! Erika: I wanted to start a Project LIT Book Club in my school as a way to encourage a love of reading while providing access to timely and relevant literature I know students would enjoy and be willing to engage in discussion around. How often does your ProjectLIT Book Club meet? And where do you meet? Kimiko: We meet in my classroom usually during second period if I am trying to connect with an author via Skype otherwise we meet during my last period. Ashleigh: There are two elements to Project LIT at AIM. First, Project LIT is an extra curricular activity – though I encourage kids to read the books during independent reading time in class. This year we met two times a week after school on Tuesdays and Fridays. My kids started calling themselves “LIT Leaders” that attended the Tuesday and Friday meetings where we would listen to the audiobook, discuss big ideas, begin to write discussion and trivia questions, send out Instagram updates, and engage in other bookish pursuits. We also hosted eight full book club meetings this year. These were held on Saturday mornings in our school cafeteria from 10:00 – 11:30 and any students, staff, family members, friends, or other community members were invited. We’re trying a summer meet up at a local park this Saturday, too! Lindsey: We meet once a month before school for 45 minutes. We have Power Mondays, which are late start days that allow the teachers to be involved in meetings and professional development activities, but the majority of students are at school, hanging out in the gym or cafeteria. We meet in the library. Mary: So right now the plan is for our middle school and high school groups to meet every other month. Secretly I’m hoping that the student leadership really takes off and they push me to help them organize monthly meetings at both levels! For our first (and only) meeting we met in our school’s theater, which is a big open space that’s sort of akin to a cafeteria. Jessica: Last school year, our Project LIT chapter met a total of 5 times. We hold our book clubs at 7:30am in our multi-purpose room. Erika: Because I was new and still getting to know my school and students, and for other logistical reasons, we only hosted two book clubs this year. What happens at those meetings? Kimiko: At the meetings we talk about author’s writing style, character relationships, the ending, some students propose questions to guide our discussions. Full Group Circle where everyone shared one big takeaway from the book. Book talk and hand out the next book! Sometimes we added in another activity here or there – but that was the gist of it. Sign-In- A student is in charge of greeting everyone and making sure students and community guests sign in. Makerspace- We like to have something that kids and guests can work on while we’re waiting for everyone to arrive. We did a book page craft, and we shared our social units with TOWERS FALLING, for example. This allowed kids to engage right away and I find that they overcome shyness or social anxiety when they have a makerspace activity. They began talking about the book while they were working and the meeting hadn’t even officially started yet. It was fun to hear these casual conversations about the books. Introductions- We officially start the meeting, introduce ourselves quickly, and a student introduces our community guests. Trivia- We have 10 trivia questions about the book. We use Google Slides to display the questions/ answers. I like to start with trivia because it can be a fun ice breaker. Discussion- We post a list of discussion questions, and the kids select the questions they want to talk about and drive the conversation. Community Guest share- Our guests share about the work they do in our community to help others and how this connects to our reading. Commercial for the next meeting- There’s a quick book talk for the next book and the meeting info is shared. Mary: I took the agenda for our meetings directly from Ashleigh and the Project Lit leader resources. Here it is -I put the times on there because it helps me & the students manage time during the meeting! 10 minutes: Trivia (it’s a fierce battle!!). It is so much fun! Erika: We followed the Project LIT agenda for book clubs–discussion and trivia questions. Stop back tomorrow for Part 2 to learn how ProjectLIT empowers students to take leadership roles, how each chapter leader engaged their community and worked on including service learning projects, and advice about how to get the books!